Back to school this week and the sun seemed to disappear as the holidays ended so there are a lot more indoor pictures for this weeks project 365. It's been a strange week. The hubby and I decided to upgrade our phones, I now have my trusty iPhone back but I think in true karma for us spending a bit of money on ourselves for a change, the boiler decided to break, bbbooooo!!! Luckily we have cover with Homeserve and I can't fault them, they sent an engineer out an hour after us ringing and had the part ordered the same day then fixed the day after, phew. My poor husband had a hospital appointment cancelled, this cost him a night off work, hate that everything comes down to money but it was so annoying and now we have to wait for another appointment to be booked!! The girls settled back into school nicely, although I think I may have jinxed the weather by sending them in with their Summer dresses on. 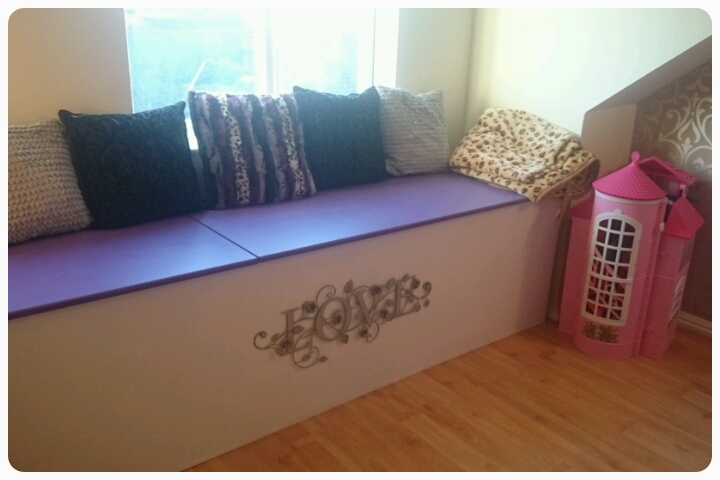 Daddy Hazelden made up a new toy box/bench for Freya's room and this was the final result. Layla was making use of the new LeapReader, even though it wasn't technically for her. It may have been cold outside but the girls were determined to keep on playing. A spot of drawing before school. 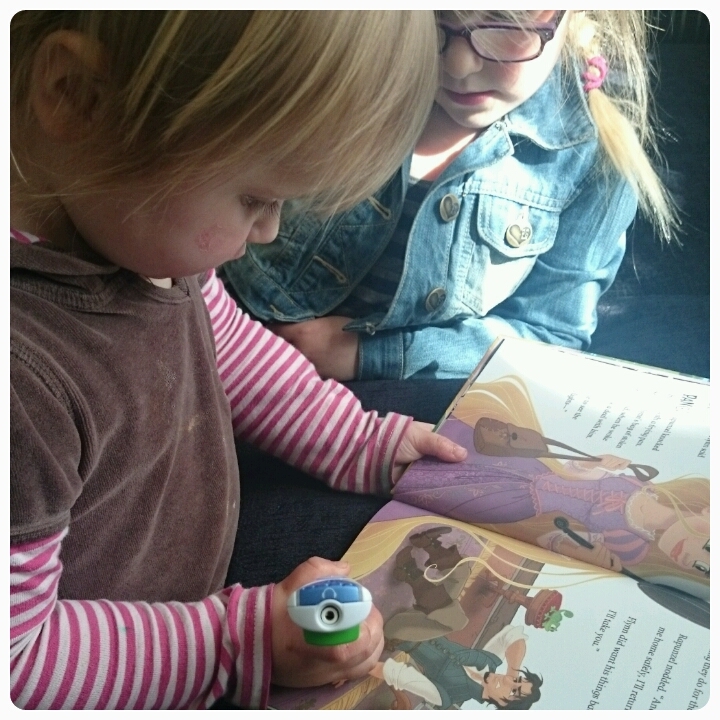 Freya is doing so well with her reading. They have to take tests after some of their books and she managed to do three this week, each one she got 100%, super proud of her. We're having a lazy day, pjs and books. Lovely selfie of three princesses. Big well done to Freya! And wow, what a super toy box-bench, it is simply fab! Well done to Freya in her reading, thats fantastic!" Good on them for getting outside even when it's chilly! I'm intrigued by AR tests? Isn't it always the same, you treat yourself then need the money - it's happened to us far too often! Loving the toy box and it looks like your girls have had a really fun week. That's a great toy box/bench. We're clearing out toys to move some furniture in I've inherited, so I'm hoping some toys will fit in the new bookcase. Great job on her reading by Freya. she must be really chuffed. Well done to Freya - three 100% is brilliant. They dont seem to have been feeling the cold out with flip flops on. Well done to Freya! You can be a proud Mummy with those 3! I am looking at doing a toy box bunch, great idea.